Weighbridge scale is used to measure the heavy trucks and lorries which are not easy to measure and weight. These scales are available in concrete and steel material. These scales can be used in all types of environment. These scales are famous as truck scales in the market. It is called the weight indicator which is the brain of the weighting operation. Weight indicators are helpful because they can display the result on the screen. These indicators can collect and communicate and provide accurate results. The systems in this indicator are very complex and it has process control. It can transmit the data for office work. It is the internal part of the weight scales that are used to measure the products. These cells can convert the force of the load in electrical signals. The weight indicator read these signals and displays them on the screen. They are available in different types, sizes, and ranges, so you can choose any of them according to your needs. Forklift truck scale is used to lift the heavy products and weight them. They have a scale unit which makes it possible to carry the products and weight them. 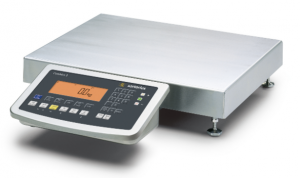 These scales have a built-in system that can determine the weight and provide accurate result while carrying the products. They are easy to use and you can use them for weightlifting as well. They provide many services at a time such as weight-lifting, accurate results, save time, transfer the products from one place to another place, and are affordable. Bench scale is used for weighing and counting applications. They are also called table scale. They are used with the weight indicator. They are available in different sizes and ranges, so it is possible to choose according to your requirements. They are mostly used for industrial requirements.